Island hopping is one of the best ways to experience the beauty and diversity of Cape Verde's breathtaking archipelago. “I ran down the vast expense of sand to the clear, cool water and with my feet in the shallows marveled at the view. 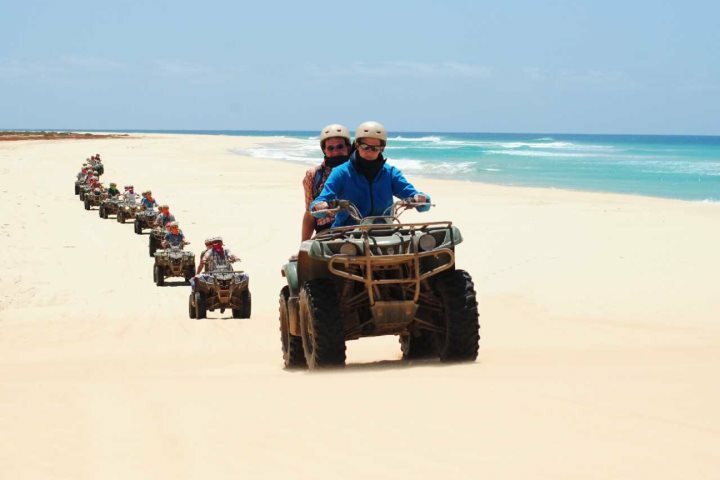 My first impressions of the never-ending dunes of Boa Vista, lapped by the bluest of seas, will stay with me forever”. Some 400 miles west of Senegal in the Atlantic Ocean lies the laid-back archipelago of Cape Verde. 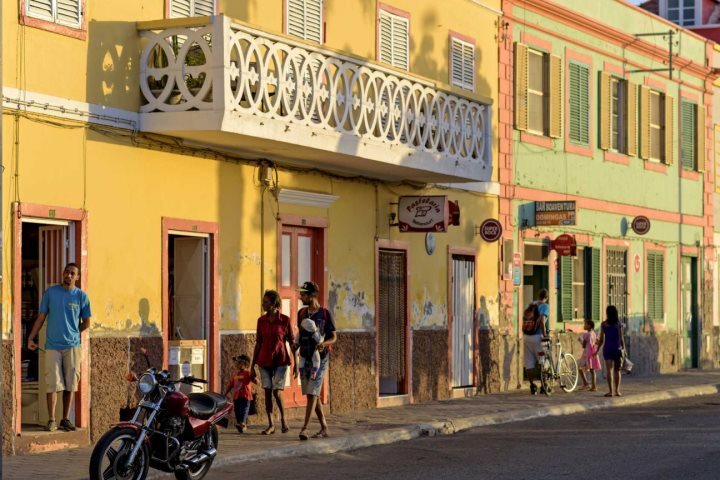 The people and culture here are an eclectic mix of African, Brazilian and Portuguese, yet each of the 10 islands that make up this beguiling archipelago is unique. 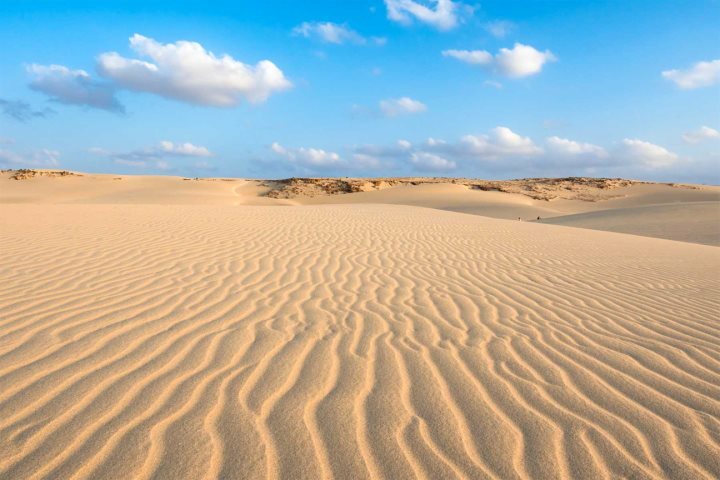 Some, while rather barren and flat, have the most amazing sandy beaches, perfect for sun worshippers and water sports enthusiasts alike, while others are mountainous, lush and green, and popular with hikers and nature lovers. 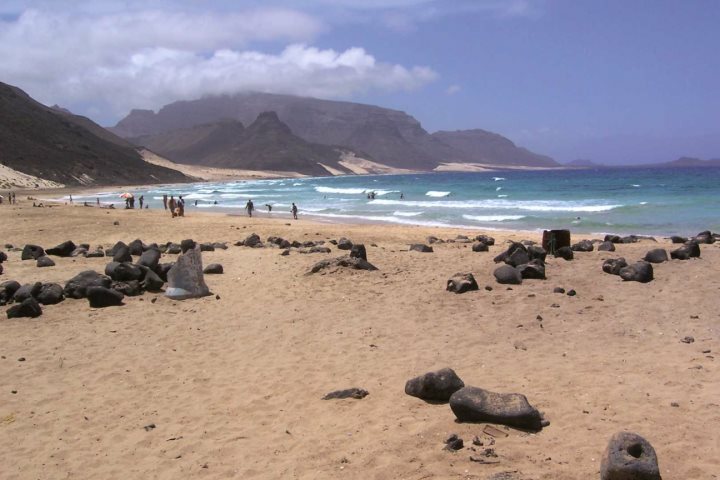 So, if you want the best of both worlds when visiting Cape Verde, why limit yourself to just one island? São Nicolau is home to some truly stunning and unspoiled mountain scenery and is very untouched when it comes to tourism. 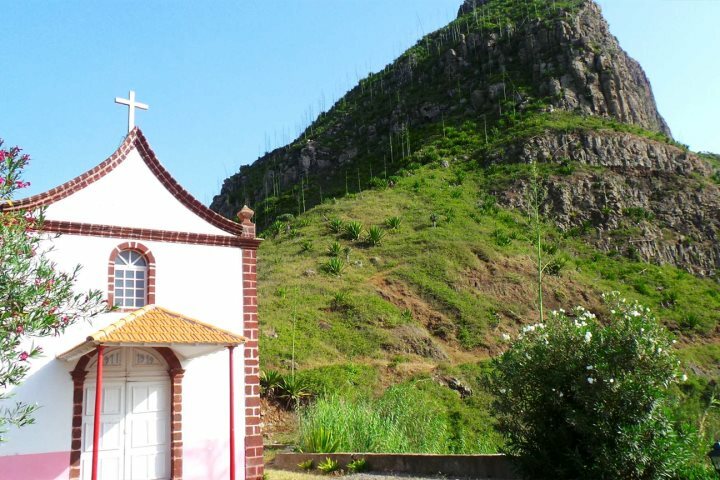 The island's capital, Ribeira Brava is home to colourful Portuguese buildings, and snakes its way through the surrounding mountains down towards the coast. It's a real haven for keen walkers and explorers, with hiking and horse riding being popular activities. This is one of the largest and the most northerly island. It’s mountainous and green with spectacular ravines and pretty little villages clinging to the cliff sides. 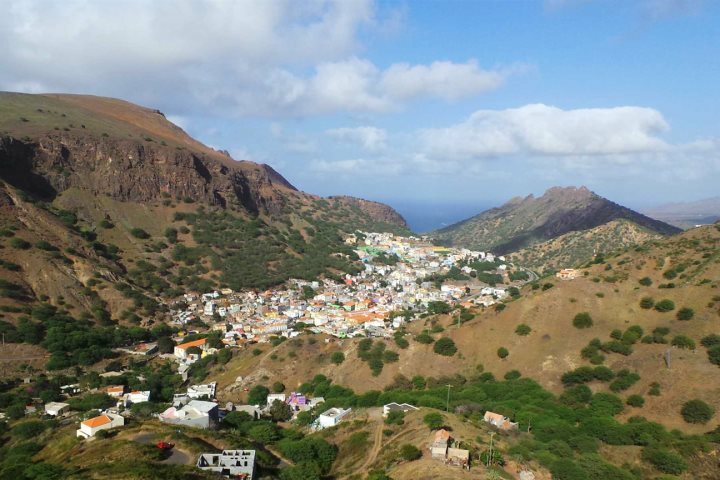 There are just a few hotels here but it's also possible to visit for the day by ferry if you're staying on the neighbouring island of São Vicente. Considered the cultural centre of Cape Verde, the island's capital, Mindelo, is well known for its music and was the home of Cesária Évora, the ‘Barefoot Diva’, Cape Verde's most famous singer. She was also known as the ‘Queen of Morna’, the traditional music of the islands in which the Saudade is a recurring theme – a longing for someone or somewhere far away or lost forever. 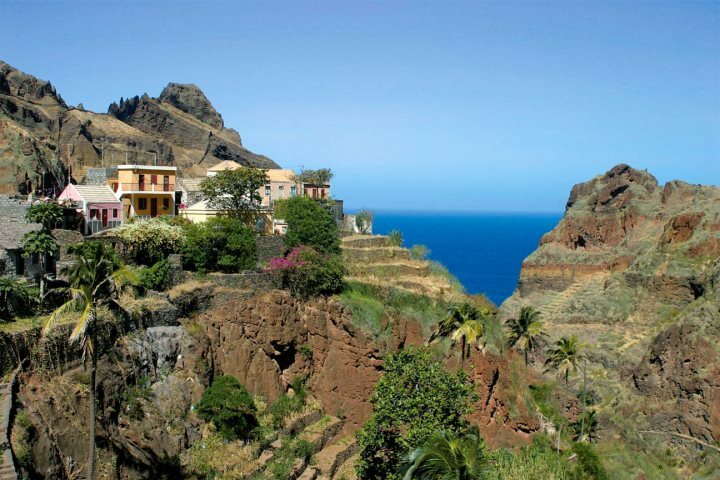 While many of the beaches are better for water sports, there are plenty of other reasons to stay here, from the lovely architecture of Mindelo to the vibrant nightlife and annual carnival, plus, the island of Santo Antão is within easy reach for a day trip. Most international flights land on the island of Sal, so it’s no surprise that there are more hotels on this island than anywhere else. The majority of these are in the resort of Santa Maria, where you’ll find a good choice of restaurants and bars plus a smattering of shops and a colourful craft market. Here you can soak up the sun, scuba dive or enjoy the wind-driven water sports that the island is renowned for. The highlight has to be the stunning sandy beach which stretches all the way around the bay and beyond. 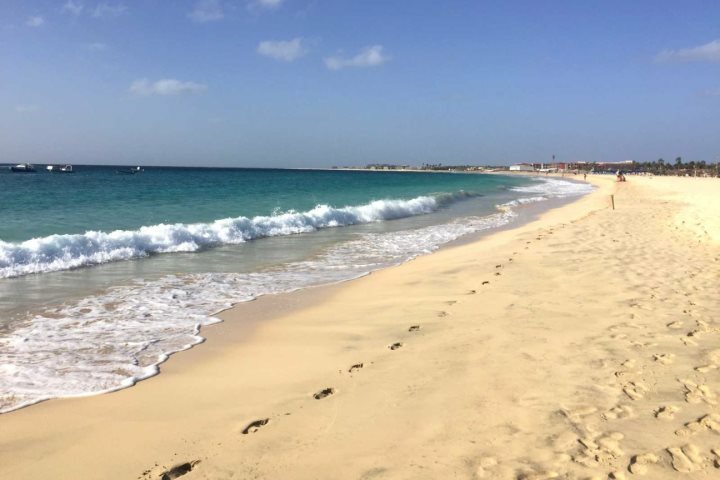 When it comes to beautiful beaches, Boa Vista gets even better. Endless sand dunes stretch in either direction, edging the bluest of seas. Despite a few large, all-inclusive hotels and some smaller independent ones lining the beaches, there are still miles and miles of unspoilt coastline here. Just as well, as it’s an important nesting ground for loggerhead turtles. Windsurfing, whale watching, quad biking and deep-sea fishing can all be enjoyed here, however, outside the hotels, it's sleepy in the way of nightlife, with just a few local restaurants. This is the largest of the islands and its capital Praia, has a rich history and culture, plus cafés, shops and restaurants. 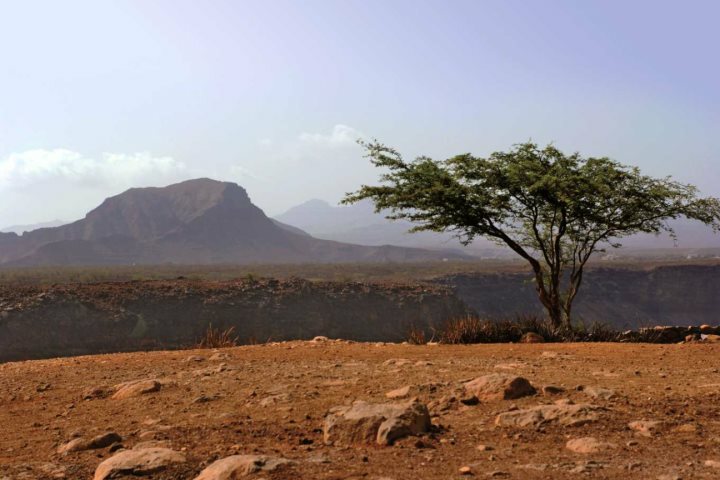 The landscape is varied with green valleys, volcanic mountains, barren regions and a mix of dark and light sand beaches. 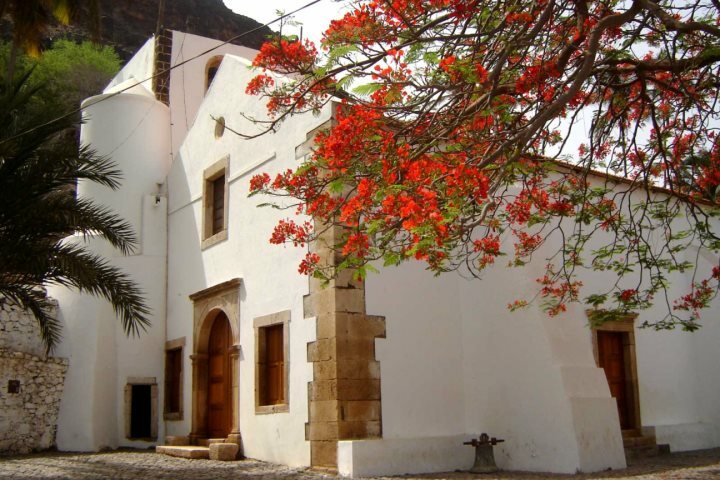 The old capital of Cidade Velha is a UNESCO World Heritage Site. Santiago is said to be the most African of the islands. 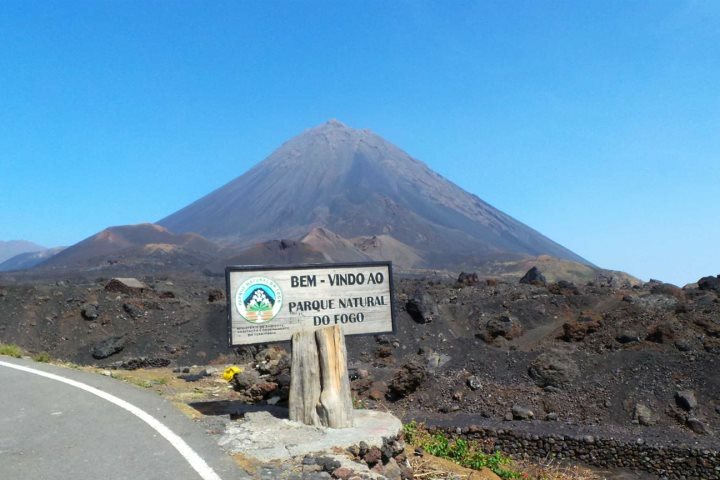 A magnificent volcano rising up out of the sea, Fogo, or the 'island of fire' is known for its wine production and coffee. 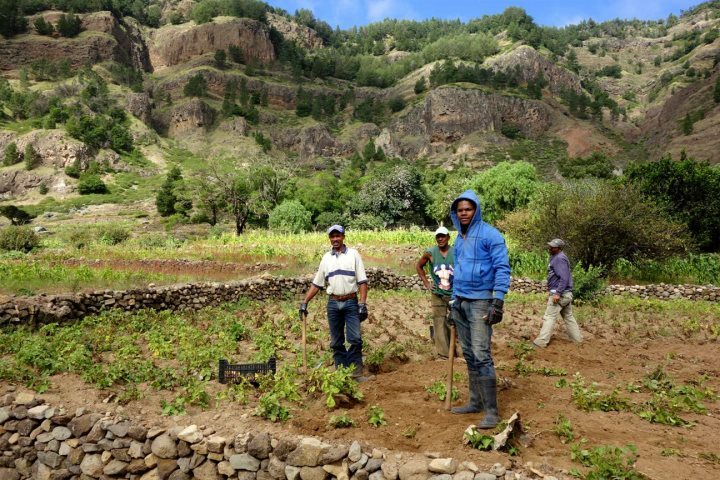 The grape vines and coffee beans are grown on the fertile land inside the crater of the still-active volcano. Reminiscent of a lunar landscape, much of the island, including the beaches, is covered in black sand. 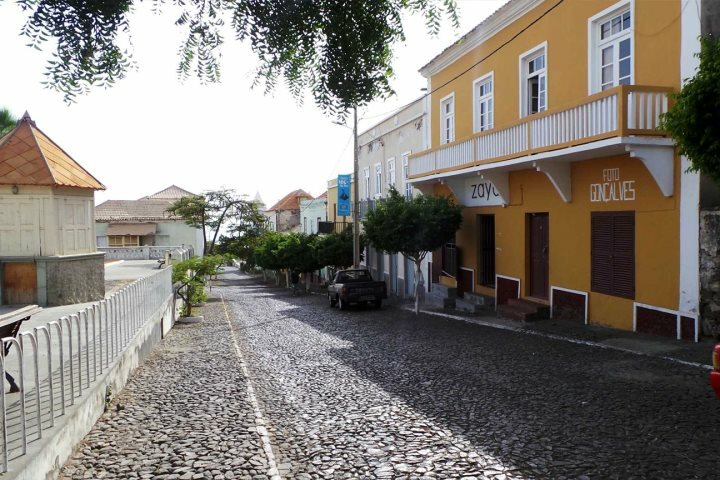 The capital, São Filipe, is a picturesque town of cobbled streets and pastel coloured buildings. With so many different scenes to choose from, the best way to discover Cape Verde surely has to be on an island hopping tour? Soak up the sun on a white sandy beach one day, and the next explore a still-active volcano. Hike through the most dramatic of mountain scenery or dance to the rhythms of the islands’ cultural capital, before unwinding once again on vast sand dunes lapped by the clearest, electric blue sea imaginable – a holiday of a lifetime, that’s for sure. 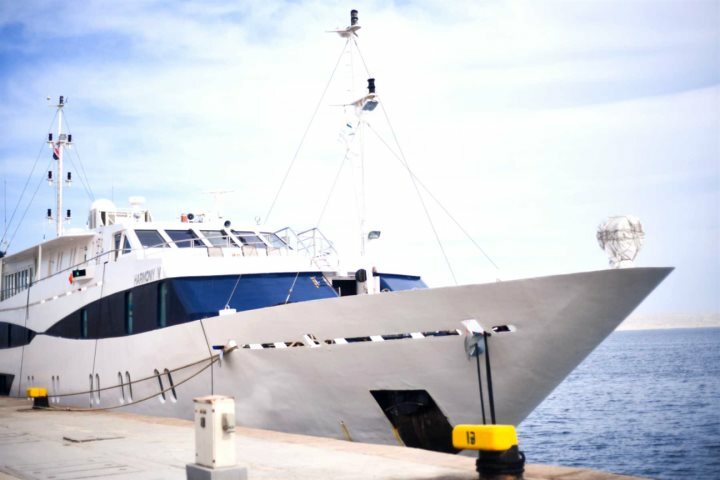 We offer a variety of island hopping itineraries, or if you would prefer you can tailor-make your own holiday.